OOC: I apologize for the missing pictures in the early chapters! I've restored as many as I could but unfortunately, the earliest images are lost to the ether. I hope you enjoy this story in spite of the missing pieces. You can hear the murmur of a much calmer voice speaking. A second sterner, sharp voice speaks up, again impossible to hear through the stone door. “Yup, no doubt that this is the place. At least it isn’t too hot yet since it’s still spring. Better grab your picks and start digging in before our food starts to rot or something else comes up. I wouldn’t be surprised if there is more than just a shortage of water in our futures.” Cog snorts in disgust, "I guess the King really is to timid if this is his idea of an effective execution." Greetings everyone! 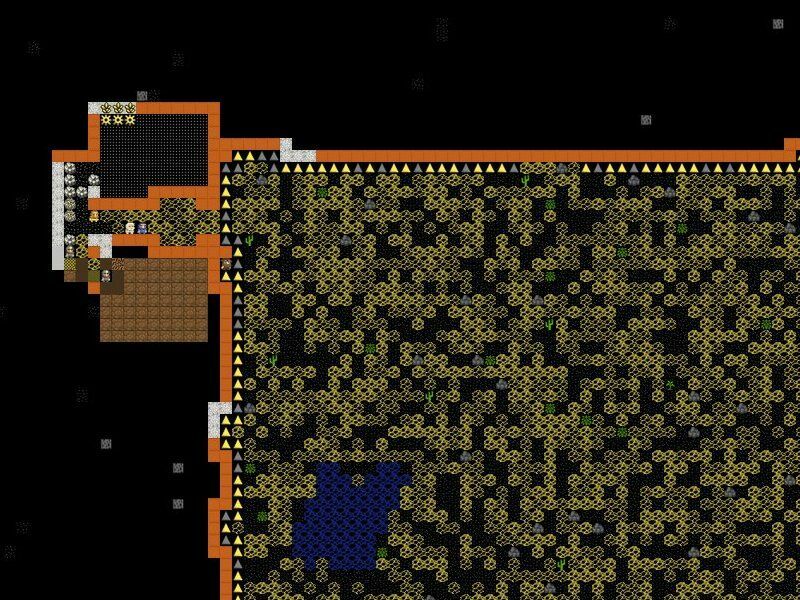 Welcome to my first attempt at a journal/community fortress for Dwarf Fortress. This will primarily be a chronicle of the trials and successes during the construction of Towersoared, primarily told from Cog’s point of view. I don’t claim to be a great storyteller, but I’m looking forward to learning. Here are the 6 dwarves available for you all to claim initially. Feel free to pick any nickname you like for them, these are just their official names. I chose the starting skills for my own comfort since I’m not a fantastic player. Also I’m pretty sure Cog wouldn’t accept a group of peasants to start, so everyone is pretty talented at a couple of disciplines. However if your chosen dwarf has aspirations away from their current profession I’ll see what can be done. Towersoared is going to be a repository of architectural insanity if I have my way. I've got several design files full of mad ideas but more suggestions are always welcome. 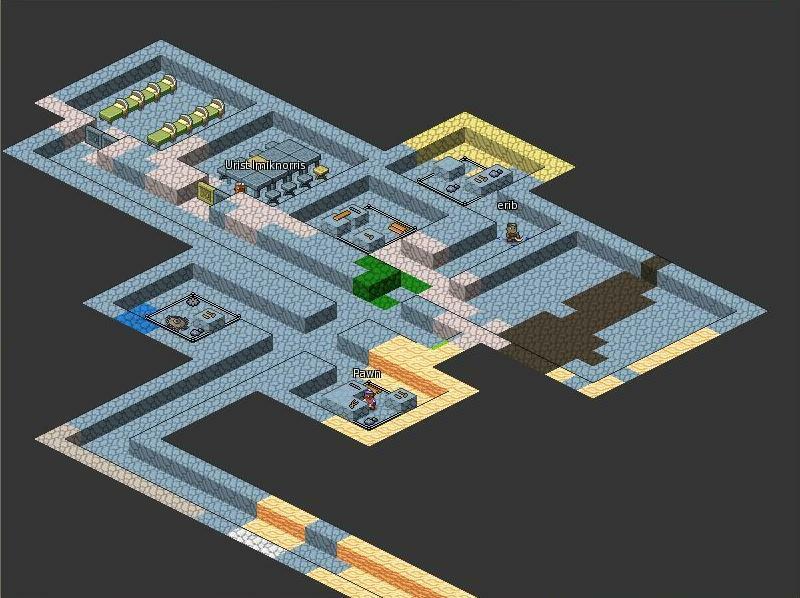 I plan to construct this fortress with 3D visualization in mind, starting with Stonesense as soon as I figure out how to get it working. First updates coming soon as the dwarves get settled in to their new home. Story: Catten was a miner back at the mountainhomes. Only a year into mining when the new fortress opportunity arrived. She took it, seeking success. She is naive. She knows armorsmithing because her father was an armorsmith and had forced her to learn his craft before she joined the mining core. It isn't her best point, but she can hold her own. Years of mining have made her very physically strong. She is curious. She likes to please others. She measures her worth in the opinions of others. Likes: Dogs for their simplicity. Dislikes: Cats, elves, her current family. OH MAN! I know who I am being!!! I would like him to be away from the rest of the group cause he likes to be alone. Security and stability of his work place is a must! No creature should be able to get in until after the go through the rest of everyone else! Also if you could make him a miner so he can dig his own stuff as well. (Be fitting to the name Worm.) His plots must be the best ever! Use only premium products (As in, use the most expensive and best tasting products for producing food for everyone. Oh man... I just keep thinking and thinking about what I'd do and all kinds of silly contraptions I could come up with... Like there being no way into his section, he drops down food to all the others. If there happens to be another loner farmer you should put them together. I'll take a dwarf. Zan Othilrimatar (Stonecrafter/Mechanic), namely. Nickname him Pawn. Always been a fan of how machines work, and making them work himself. Dreams of making an in-doors watermill power plant. Give an elf a fire and he's warm for a night. 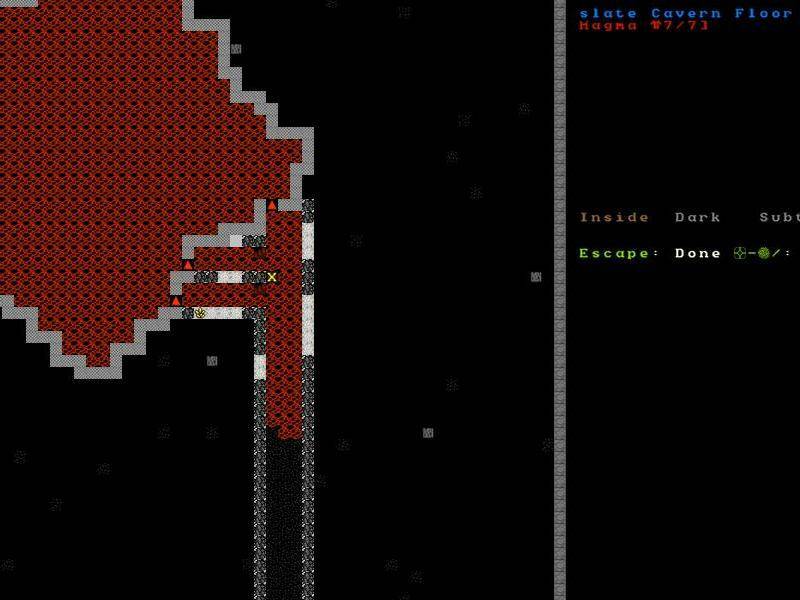 Drop an elf in magma and he's warm for the rest of his life. "Urist Imiknorris" is a perfectly normal mason. Or he would be, if not for his ambition. He is studying architecture under Cog and seeks to furnish the entire fortress with masterful stone objects. He insists using statues to hide a magma-flood device in the fortress's entrance and wishes to have a bedroom overlooking a floor grate onto which goblin prisoners are dropped from as high as possible. I guess I'll take Iteb. o_o Maybe I'll get lucky and he'll develop a George Washington type syndrome towards trees. I guess that means i'll have Erib. Because god knows your duke will demand a kitten silo in his office. 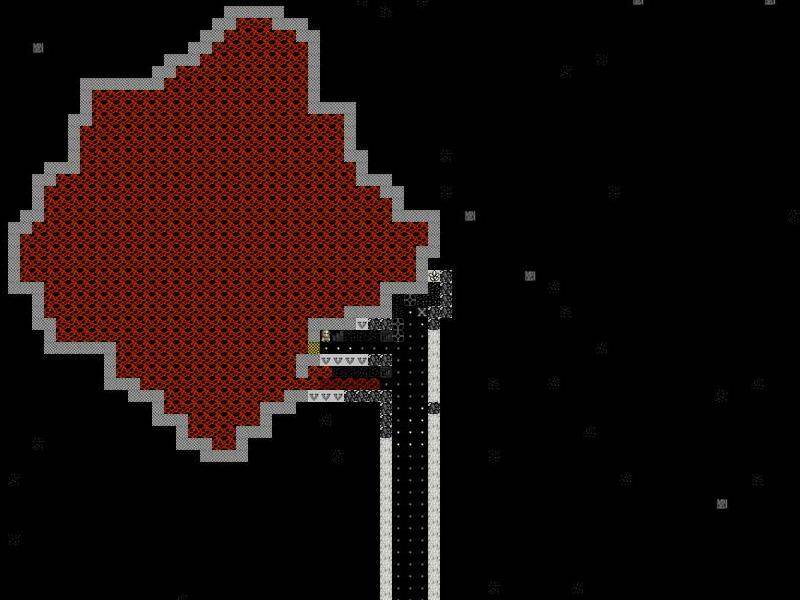 Dwarf Fortress: Where you aren't hallucinating. (OOC): Thanks for your interest everyone! Glad to see the Dwarf selection process got sorted out without my involvement! I’ll see what I can do about your requests as the game goes forward. I’m sure we’ll see more migrants soon so if any readers are looking for a dwarf, just let me know. Now, on with the story! I don’t have long until Catten and Rogue Idzagod are done digging the first rooms, so this will have to be quick. Apparently our illustrious leaders aren’t satisfied with forcing me into an effective exile over my ideas. No, they had to make sure to trick me into heading to one of the more miserably barren places in this half of the continent. At least they didn’t fake the presence of ore and the volcano. I have a sturdy, although rather odd group of dwarves who chose to join me. Mostly we’re getting along just fine, but it seems that Catten and Iteb have developed a bit of a grudge. I think it started as an argument about the benefits of stone over wood or something like that. They don’t seem to be speaking anymore though. To be perfectly honest, I wasn’t paying a lot of attention. Too many ideas to jot down, not enough time! Now thanks those spineless bureaucrats back home it looks like survival is going to have to take priority. Catten is waving at us; I think the first tunnels are ready. Time to get our supplies indoors. Pawn Othilrimatar wiped his brow as he headed back to the wagon for another load of food. Cog certainly had brought a lot of materials, including sufficient wood to make bed for everyone despite the shortages here. He looked up at the clear sunny sky, and then squinted at a small dot in the middle. He tapped Urist Imiknorris on her shoulder as she walked past. “Urist, what is that thing up there?” he asked. Finally, I hauled the last batch of lumber inside myself. Now we’ll be relatively safe from that Nightwing creature unless it decides to come visit. Pawn is installing some cage traps at the front entrance just in case and we’ll get some barriers up so we can seal the place down soon. I’ve got a bad feeling about this place. Something doesn’t seem right. Oh and I suppose getting some farms figured out might not be a bad plan either. You should have seen the look on Pawns face when I told him that we’d need some mechanical work to control the flow of water into the first farm. I think he’s eager to put his talents to work on something more complex though. He looked a little bored when I told him that once he was done with the mechanical work, I needed him to put his stonecrafting talents to work on the off handed chance a caravan makes it out here. From their vantage point they watched as Nightwing dove down on the helpless camel. They watched for half an hour as the beast taunted and slowly ate away at the camel before it finally collapsed to the ground. Nothing like some farms, very soon we’ll have our first crops ready. Funny that Worm insisted that they be so far away from everything. Unfortunately with our shortage of water, we have few options if we want to successfully irrigate our fields. Still, can’t blame him for wanting to dig in considering that creature we saw. I suspect that some of my ideas won’t go over so well thanks to that thing. At least it seems to have departed from the area for the moment. I’m quite stunned to report that a small group of migrants have arrived. A family of four, plus a cheese maker they met on the way here. The way things were going, I would have thought that our noble leaders would have forgotten to mention us to potential migrants. This certainly bodes well for the possibility of seeing a caravan this fall. Not only is Vucar Shemlir a high master metalcrafter, but her husband Asmel Loloroth is a novice glassmaker! With all this sand, I think he’ll be getting a lot of practice to make a name for himself in the near future, assuming he’s not planning on changing jobs. Not much call for a cheesemaker yet but I'm sure we can find something for him to do. I'll have to see what his interests are. Cheese maker > wood burner/furnace operator. Make ye some gold crafts. Are you allowing more people to claim the migrants? I'd like to claim Asmel. WAAAAAAAAARRRRRRRBBBLLLGARRBBLE. THE KING OF HAND CREAMS HAS SENT YOU HERE, AND THE POD IS THE THRONE OF THE GOBLIN EMPEROR. DESTROY ALL UNBELIEVERS. (OOC): Good call Urist, I think that’s a perfect task for our new cheesemaker. Now I just need to mine out some gold! Alxnotorious: Yes, the new migrants are available to claim. Asmel is now your dwarf. I have an office! Finally managed to get the first round of planning done. Specifically, I’m trying to figure out how to tap the volcano. I plan to put magma to good use in the future, so I need a fairly generous amount. 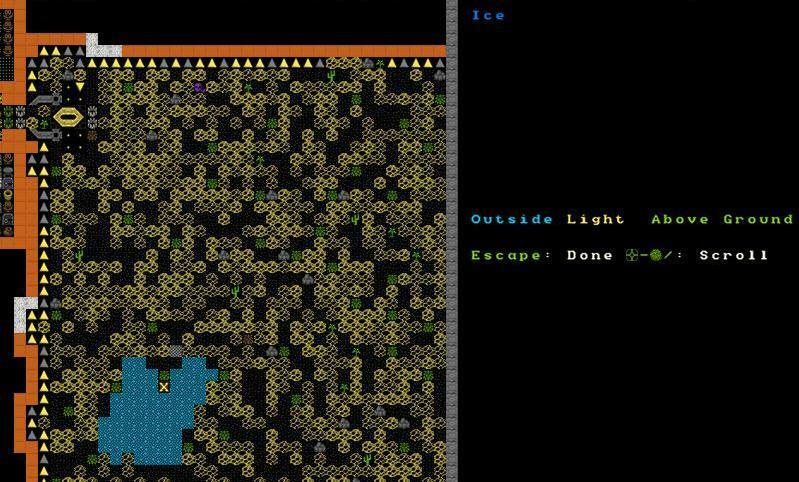 Granted I got a few odd looks when I told my fellow dwarves the dimensions of the magma channel. 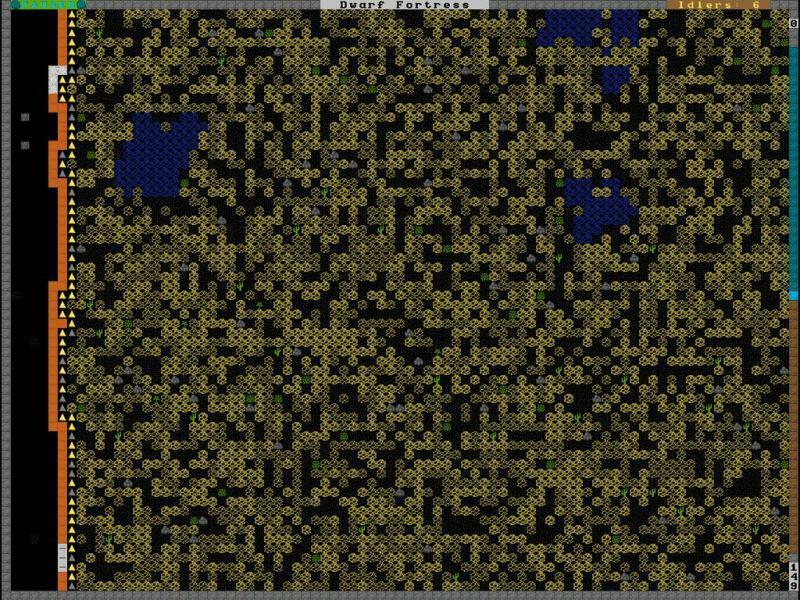 And yes, it is indeed my intent to dig a 3 tile wide “channel.” This will probably take Catten and Rogue the rest of the season to finish, but it will be a good warm up for the future. As if things aren’t frustrating enough here, apparently this is a pretty cold desert. The murky pools outside froze over last night. She made her way inside and got directions from the first dwarf she saw to Cog’s office. In all honesty the place wasn’t terribly impressive. Narrow, unfinished hallways and loose stone scattered around the halls. If this was the best Cog had to offer, his detractors from mountainhome would be laughing themselves silly. Still, it had only be a short time, but there weren’t any signs of any grand plans in action. Figures, I’d come within a whisker of alienating our liason. Well, at least she was fairly reasonable to talk with. Seems to have a good head on her shoulders although she did point out how poor this place looks. Can’t blame her, what with being focused on survival for the past few months. At least things are starting to look up. We’ve got four new migrants as well as the caravan in the house. Our newest immigrant cheesemaker seems to have a good head on his shoulder and was apparently quite chummy with the merchants on the trip out so I sent him off to take care of trading. He did quite well considering we only had four boxes of stone crafts to trade. At least we should have enough food to get us through a couple more seasons. Pretty soon I’m going to be asking our miners to take a serious risk. It’s finally time to breach the magma pipe. I think they drew straws on the job already; Catten seems surprisingly enthusiastic about it considering the dangers. Catten made her way towards the planned location of the magma pipe breach. While Cog had carefully planned the site to provide escape routes, it was still a highly dangerous task. Even worse, he wanted her to breach the pipe in three separate locations to ensure a high flow of magma into the massive trench. Finally she found herself face to face with the hot obsidian wall that divided her from the magma. She lifted her pick and began her attack on the wall at the first breach. The wall suddenly gave way and magma began to pour out towards her, and into the trench beside her. Quickly, she dashed up the stairs into the narrow access corridor and then down to the second breach. The second wall fell as quickly as the first. But in a moment of confusion due to the increasing fumes, instead of dashing upstairs into the safe corridor she outran the lava around the corner and up the hall to the third site. The third wall was the most dangerous, especially with the magma rising in the two halls behind her. But at long last it fell as well. She deftly dodged to one side as the magma began to pour through and then she dashed up the stairs. Looking back down at the increasing flow of magma, she breathed a sigh of relief and then started the walk back to the central fort to report to Cog that the magma was on the move. Since Asmel is basically useless as a glassmaker, could you make him into a sort of resident mooch? Like useless job-wise only existing to eat, drink, sleep, and socialize. He also demands a room made of pitchblende if possible. He likes pitchblende.